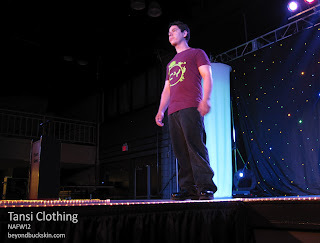 Another cool designer, Tansi Clothing showed off their latest designs for men and women at the National Aboriginal Fashion Week held two weeks ago in Saskatchewan. Tansi Clothing was founded in 2005 by Tim Lewis who was born and raised in a small Cree community located two-and-a half hours northwest of Saskatoon (that is WAY up there!). Lewis comes from a big family and maintains connections to his home community, but bases his company out of Saskatoon. The word 'tansi' means hello in the Cree language, and Lewis' clothing company promotes the Cree language through fashion. 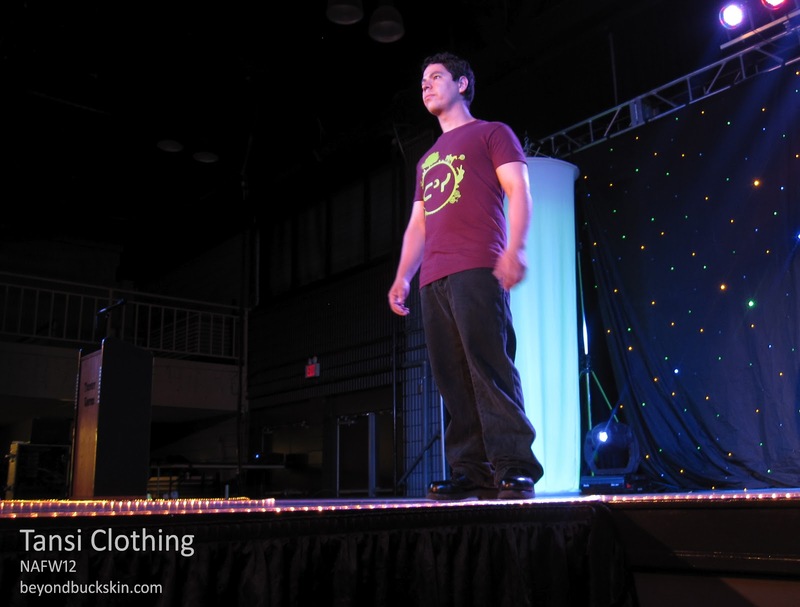 But you don't have to be Cree to wear these cool designs. 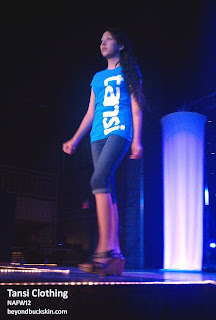 You don't even have to be Native American to wear Tansi Clothing. Lewis explains, "Our fans and customers come from all backgrounds. My target market is both Aboriginal and non-Aboriginal people. 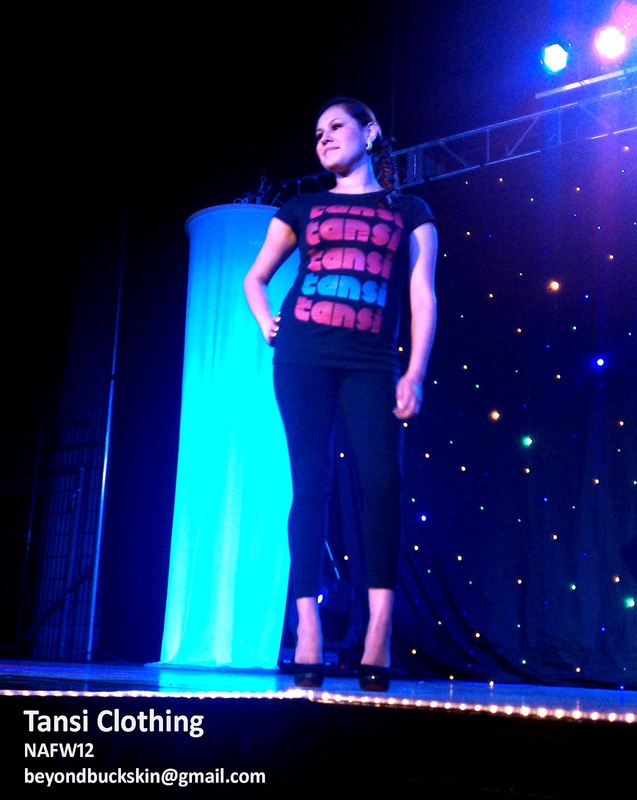 I love to see tansi clothing in the community." One of Lewis' customers wrote, "I have one of your shirts and a hoodie that I wear all the time. I am a non-aboriginal person that works extensively with numerous first nations and communities in Alberta. I am aware that it might look unusual wearing the shirt in communities that do not speak the Cree language, but the responses have been positive by everyone! It’s a great way to start conversations, but mostly it just looks great!"